GoPro has revealed a brand new action camera, which dramatically slashes the price for those looking for Wi-Fi streaming and advanced features. In the face of growing competition for its action cam crown from the likes of TomTom, Garmin and Sony, the GoPro Hero+ offers 60fps 1080p recording (no 4K on this cheap and cheerful version, unfortunately) and Wi-Fi streaming for just $200. This means you won't need to pay professional level price tags in order to live stream your footage to mobile devices, and with Bluetooth also on board, the new budget Hero+ will work with the new GoPro Apple Watch app, which enables you to use your smartwatch as a viewfinder. It certainly puts GoPro on the map for amateur users who want the benefits of an action camera for winter skiing trips and holidays, without the insane price tag. 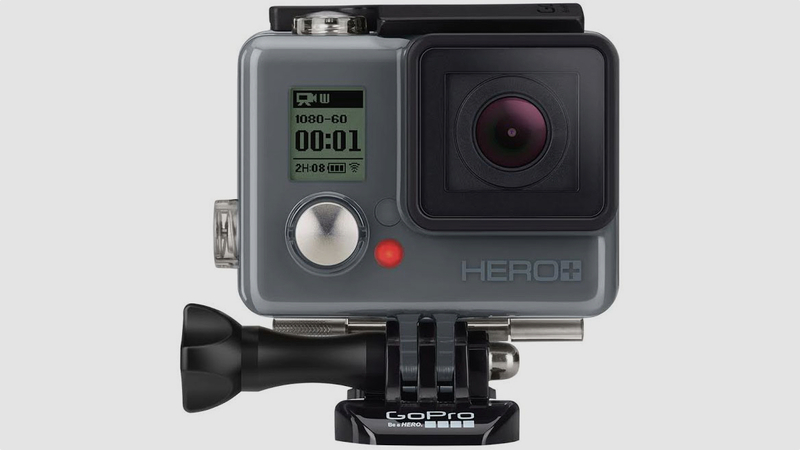 The Hero4 Session also gets a price cut too, and for $300 you get the super discreet action camera, that somehow manages to be 50% smaller than the already tiny Hero4.